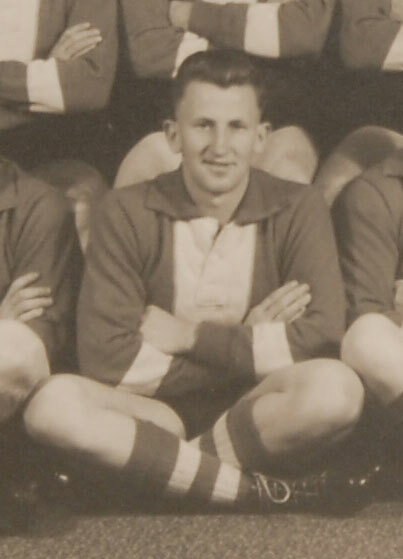 Recruited from South Bendigo and aged almost 23 on his senior debut, Max Ellis wore guernsey 8 in his only two senior appearances for the Blues in 1956 and was listed under guernsey 21 during the season. Contributors to this page: WillowBlue , Bombasheldon , molsey , blueycarlton , Jarusa , tmd1 , PatsFitztrick , TruBlueBrad and admin . Page last modified on Tuesday 06 of May, 2014 09:31:14 AEST by WillowBlue. 1985 Rd 21 - David Glascott dives on the footy.